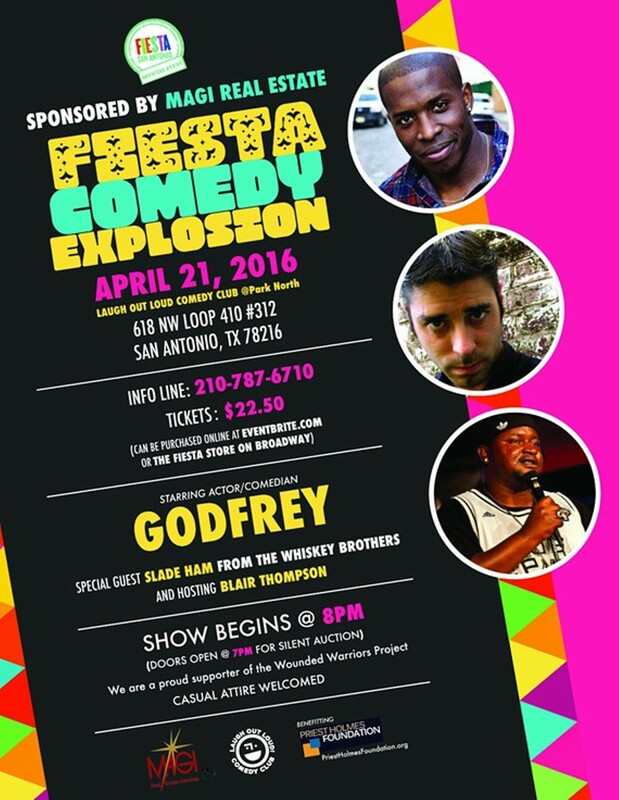 Chicago native Godfrey (Zoolander, 30 Rock, Louie) headlines this third annual Fiesta showcase with proceeds benefiting the Priest Holmes Foundation’s Scholarship and Standards Programs.Come and support our 3rd annual Fiesta Comedy Explosion, an Official Fiesta Event. 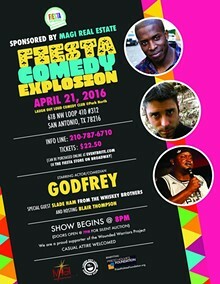 A side-splitting show featuring Actor/Comedian Godfrey, comedian Slade Ham and hosting, San Antonio's very own, Blair Thompson. Proceeds benefit the Priest Holmes Foundation Scholarship and Standards Programs. Show starts at 8 PM. Doors will open at 7 PM for public silent auction. We are a proud supporter of the Wounded Warriors Project.